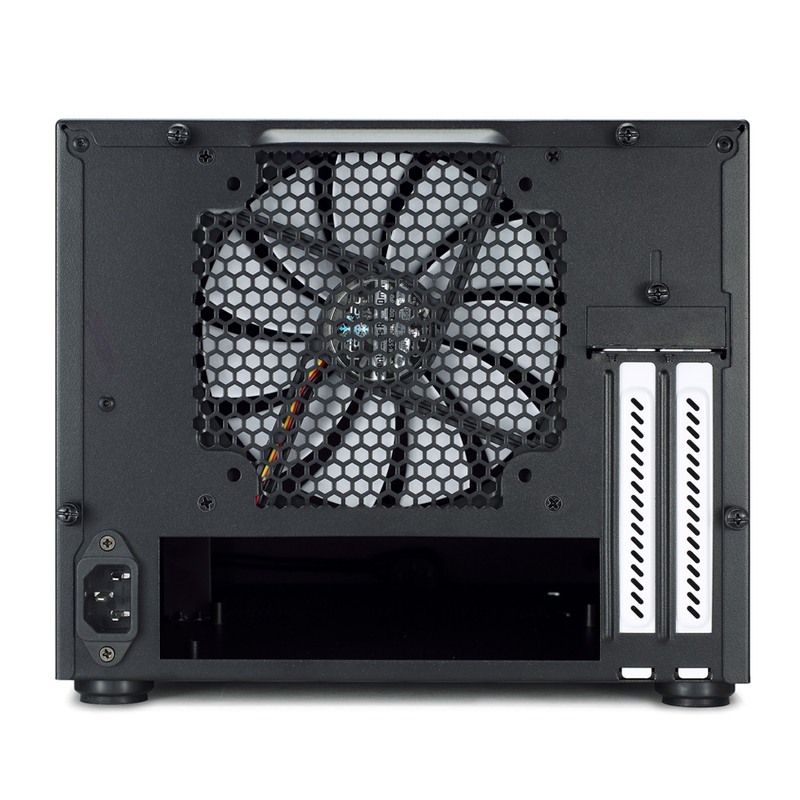 Fractal Design’s Node 304 set the benchmark for us in terms of a functional mini ITX case with good airflow, component compatibility and noise. 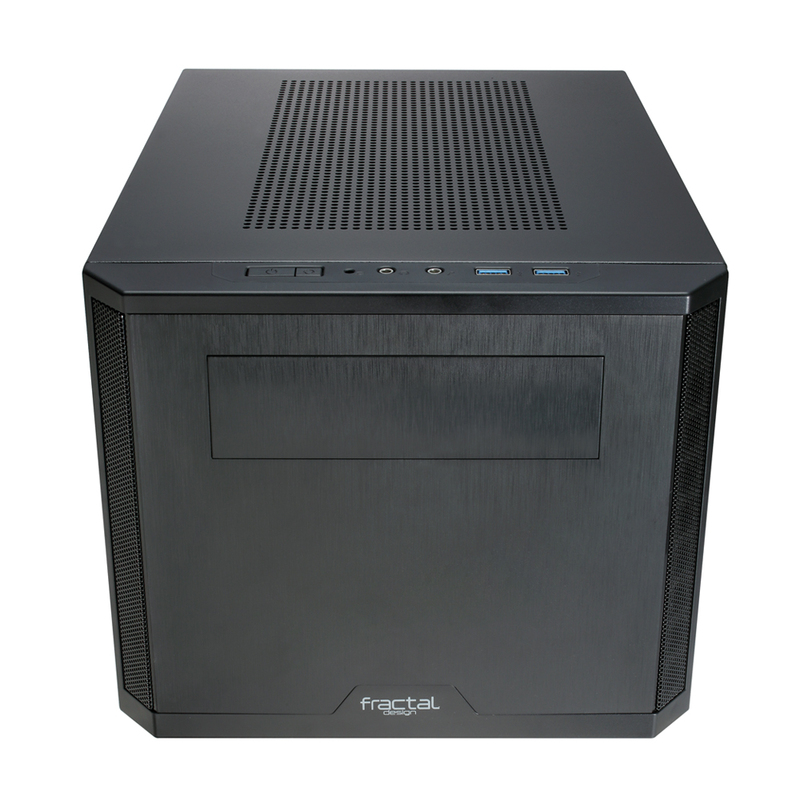 The design team at Fractal has just kicked this up a gear with the Core 500 – read on to see why this is a true Gamer’s ITX case. 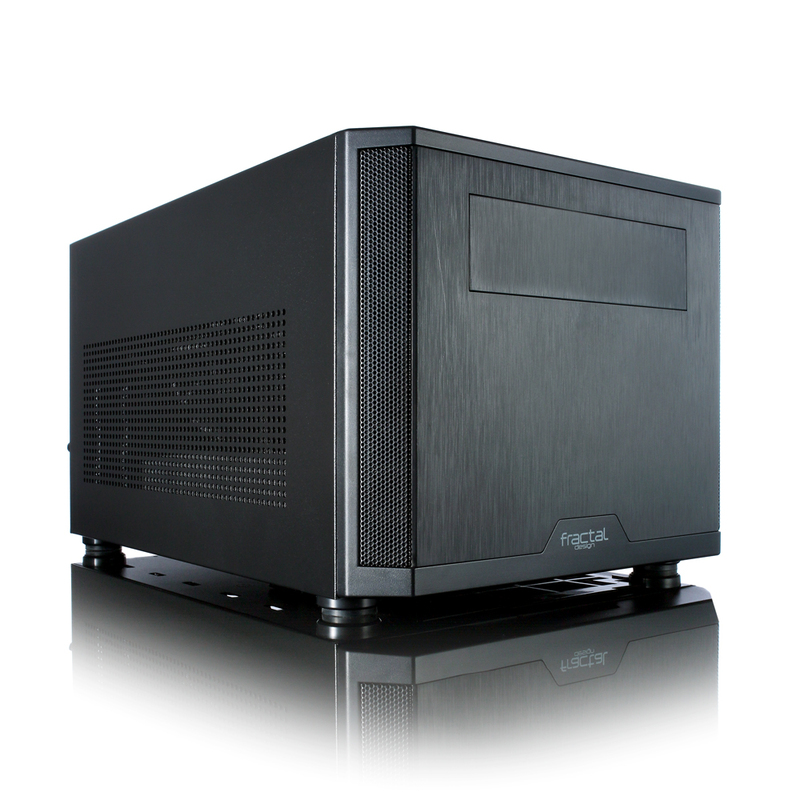 The Core 500 hit our test bench last year. 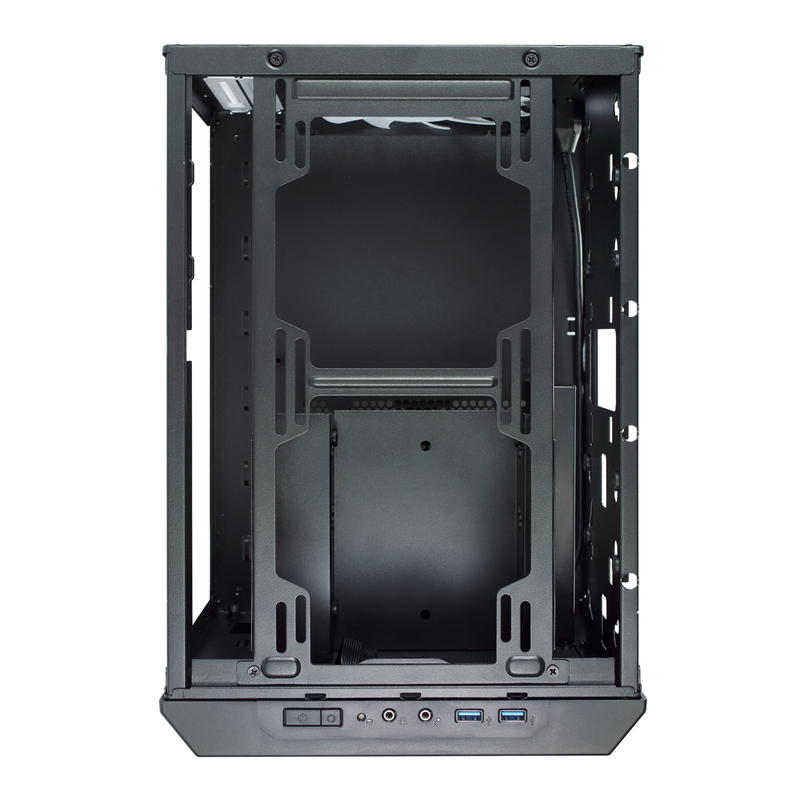 On first glance, I was more interested in the Node 202 and still preferred the look of the older Node 304 but once I got building with the Core 500 I realized that this case was so much better than I’d initially given it credit. 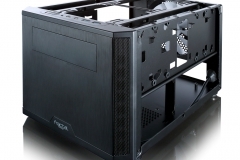 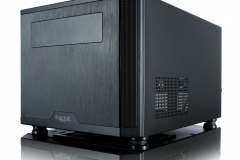 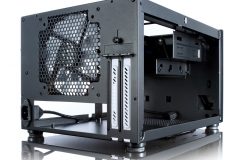 This is undeniably the most practical and versatile Mini ITX case that I’ve seen to date. 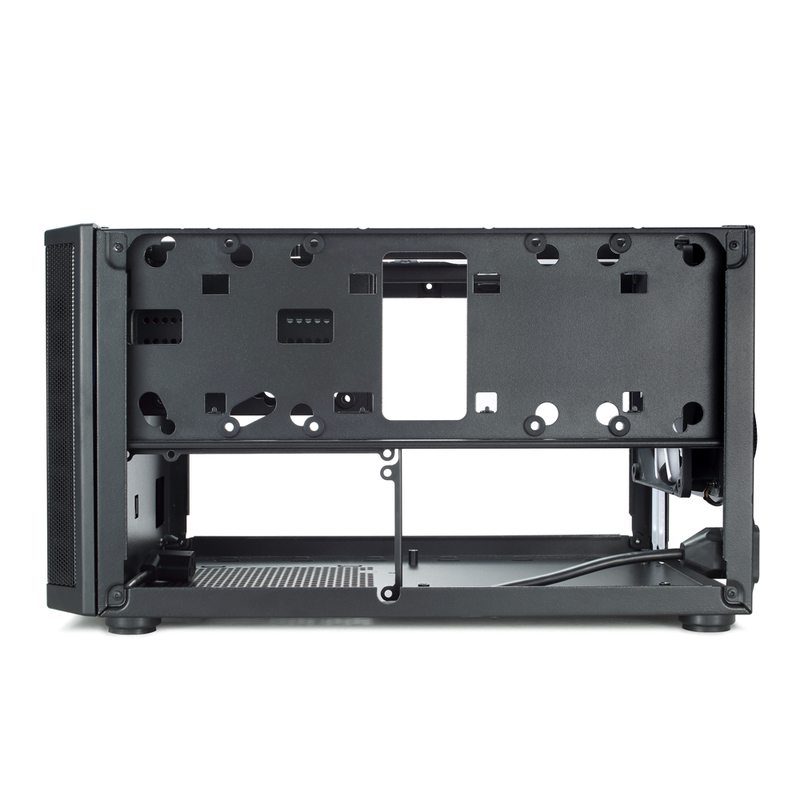 Some of this versatility comes at the expense of aesthetics but I feel that this is a really well balanced trade-off. 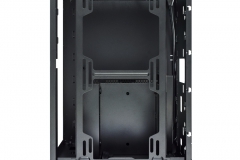 Personally, whilst I still prefer the physical appearance of the Node 304 the Core 500 is a better option for a LAN rig. 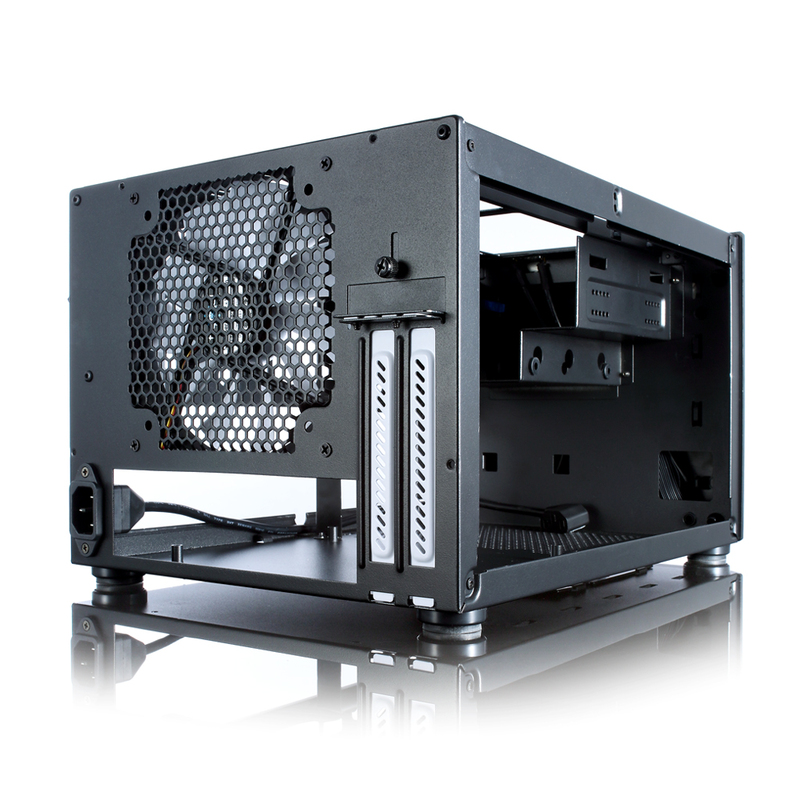 Fractal Design’s Core series is their most inexpensive range aimed at value builds with essential or ‘core’ features. 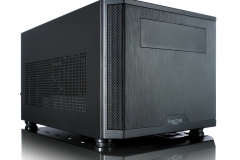 Despite being cheaper than the Node or Define series of cases, they might appear less sleek but Fractal Design didn’t compromise on their build quality or design smarts. 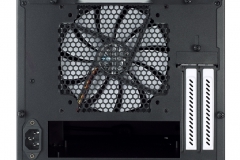 Fractal Design stated that their Core series was influenced in part by customer feedback and it’s fair to say that this is evident in the Core 500. 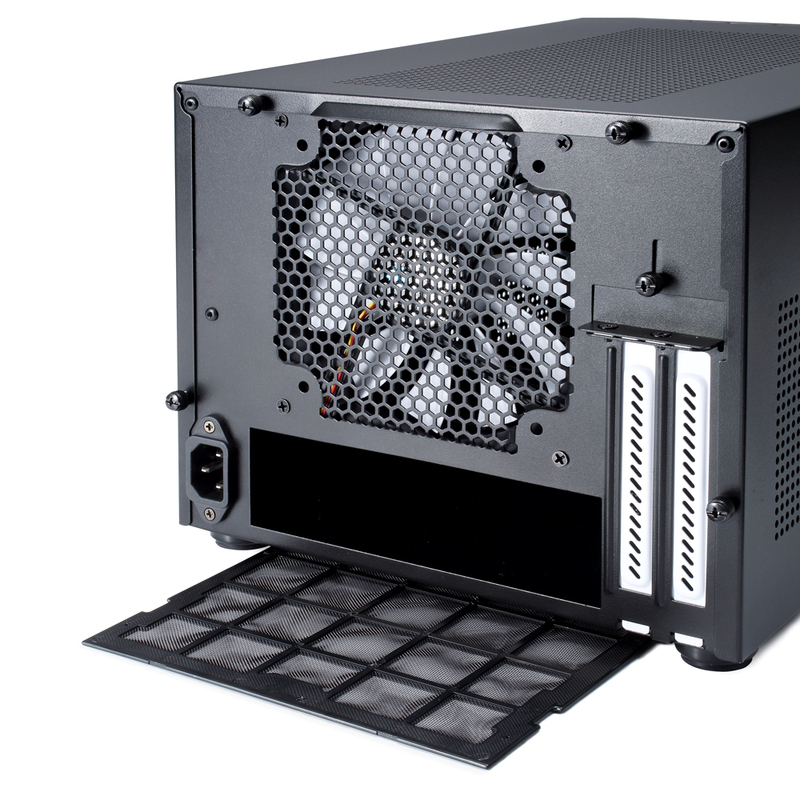 The Core 500 comes with a single 140mm rear exhaust fan but there are mounts for 2 more case fans or a radiator in the roof. 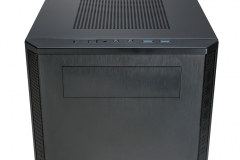 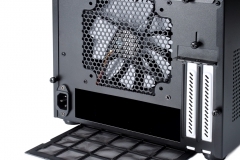 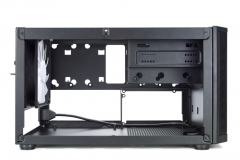 The ITX case is also optical drive-friendly for people who still use them. 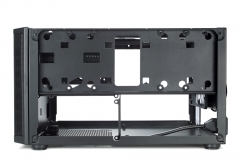 Front I/O ports can be found along the front top edge and there is also room to fit a full sized graphics card without needing to sacrifice the internal drive trays. 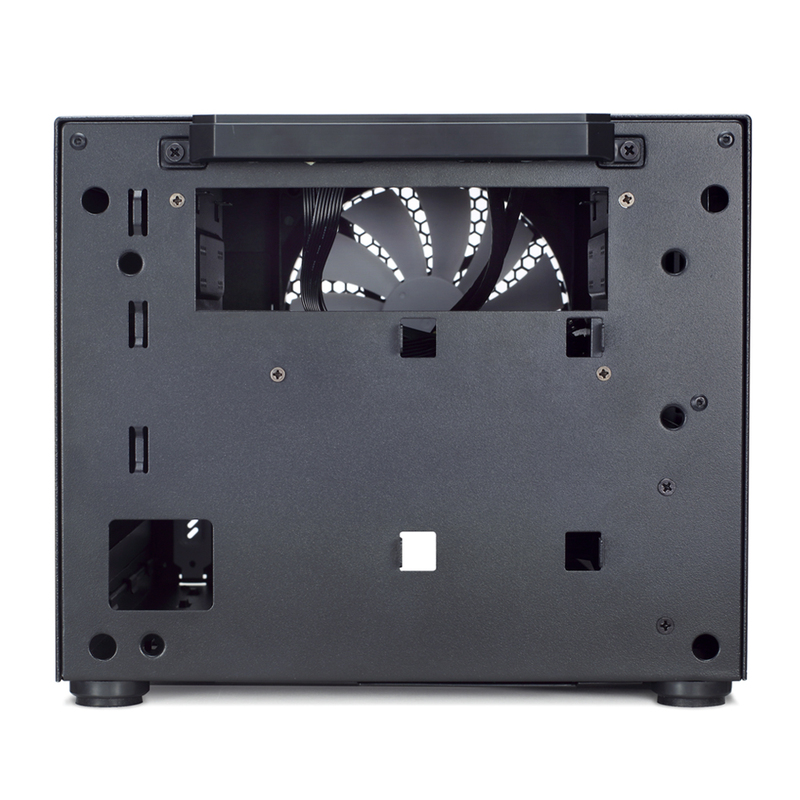 Speaking of hard drives, the Core 500 has a really nifty layout that allows for 3×2.5″ drives, 3×3.5″ drives and 1×5.25″ optical drive. 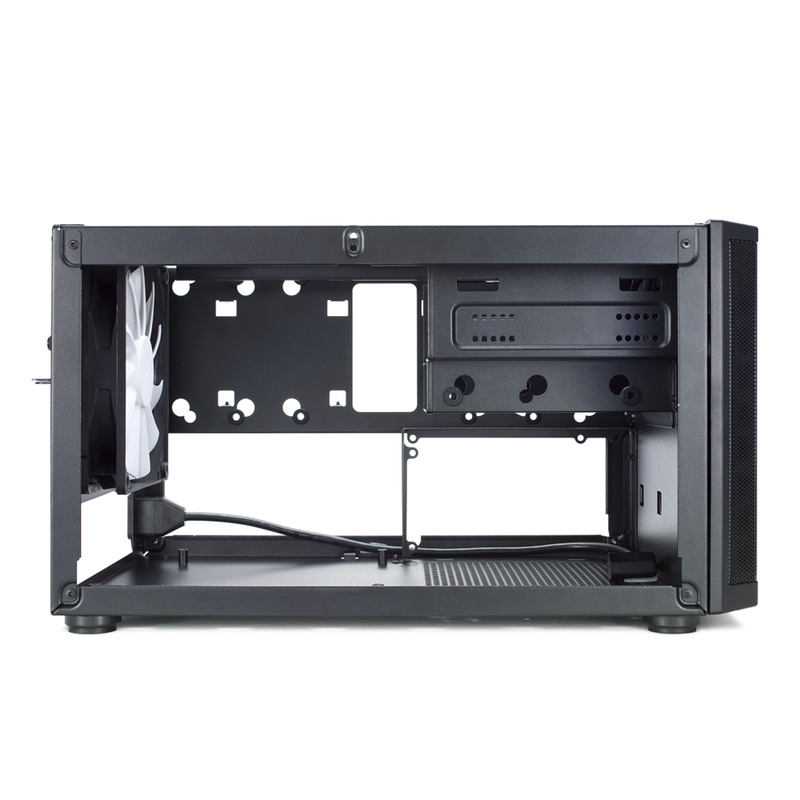 This is more than our ITX motherboards could support so we had to settle for fitting 5 drives into the Core 500 during our testing as we ran out of SATA ports. 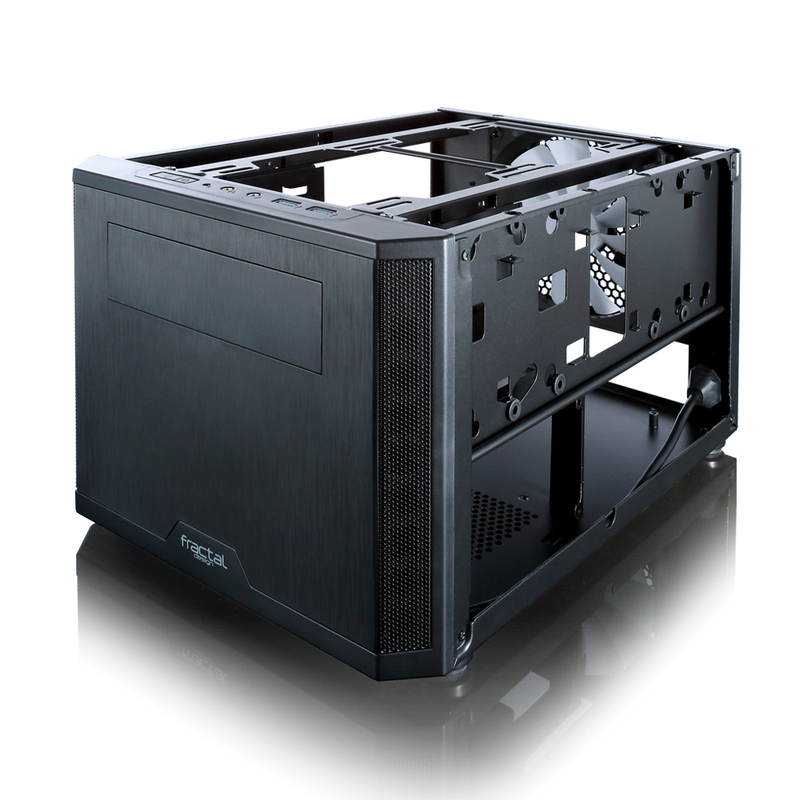 Aesthetically, there is an aluminium look, front mesh panels that don’t have any practical purpose but do look very ‘core’ series and a quality black powder coat finish. 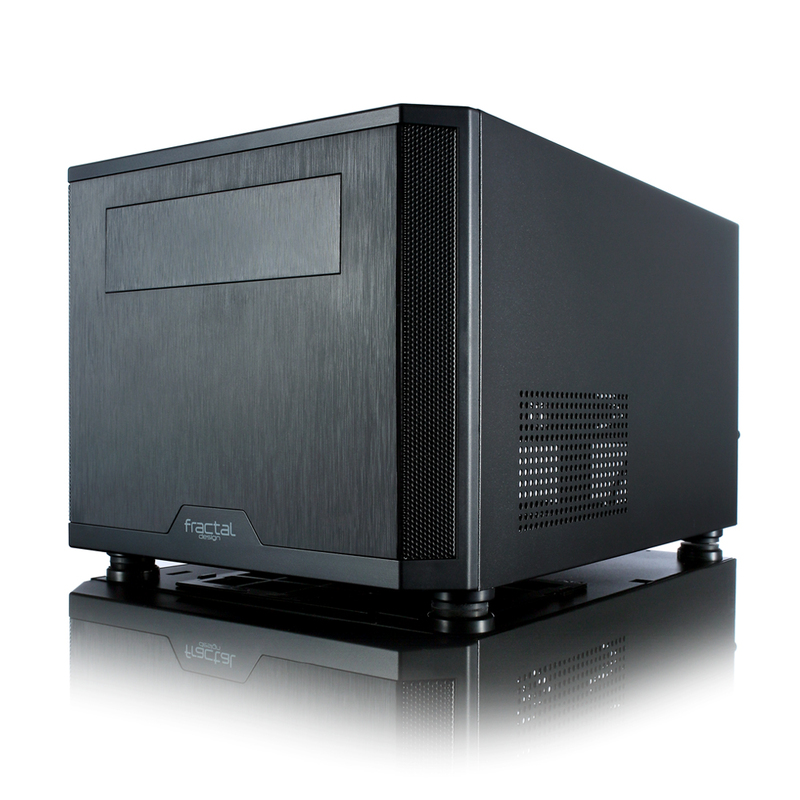 This isn’t as sleek as the Node 304 but the Core 500 is by no means ugly either. 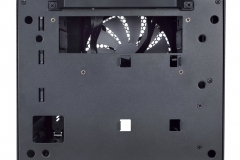 System builders could easily install some LED strips behind the mesh panels for some added bling with very little effort.